Stouffer Equipment Company located in Grantville, PA was founded in 1998 by Scott A. Stouffer. With his previous knowledge and experience in the heavy equipment industry, Stouffer took advantage of a great opportunity and establish a full service, specialized recyling machinery dealership. The company got its start by serving customers in Pennsylvania, New Jersey, Maryland, Deleware, and Northern Virginia, but now serves a national clientelle. 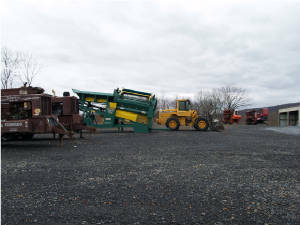 In 1994 Stouffer began working in outside sales for ReTech, a division of Enviorquip Systems Inc., out of Myerstown, PA which specialized in trommel screens and picking stations for the wood, demolition, and topsoil industry. This soon took him into the wood grinding industry where he worked as a sales representative for C.W. Manufacturing, Inc. out of Sabetha, KS. Maintaining a territory East of the Mississippi from Maine to Florida broadened Stouffer's expertise in the industry. The constant travel and time away from his family compelled him to look for ways to concentrate his efforts in a such a way as to allow him to spend more time with his family. In 1998, Stouffer opened the doors to Stouffer Equipment Company, nestled in the foothills of Central Pennsylvania and began dealing in new and used equipment. In 2002, Scott recognized an opportunity in the industry, and developed a full line of replacement wear parts for most of the tub and horizontal wood grinders manufactured within the industry. Maintaining a strong work ethic and a vision to fulfill their customer's needs SEC Inc. began shipping wear parts not only within the US, but into the international market as well. In addition to the full line of wear parts, SEC is a proud dealership of the Precision Husky Corporation. Precision Husky has seven models of tub grinders available and four modles of horizontal tub grinders. Spread out over 15 acres, Stouffer Equipment Company is home to one of the largest equipment and manufacturing facilities on the East coast. 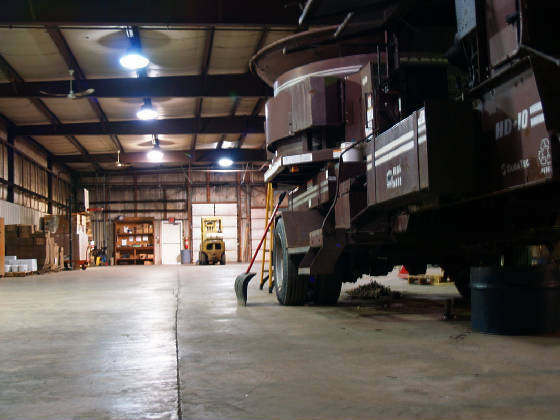 From the full-service maintenance shop, to our welding, refurbishing and parts divisions, we have the ability to handle all of your equipment needs. 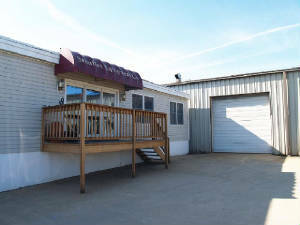 When you visit Stouffer Equipment Company, you'll see that our yard is usually full of new and used equipment, as well as rentals. Our visitors and customers will be able to see their equipment demonstrated on site.